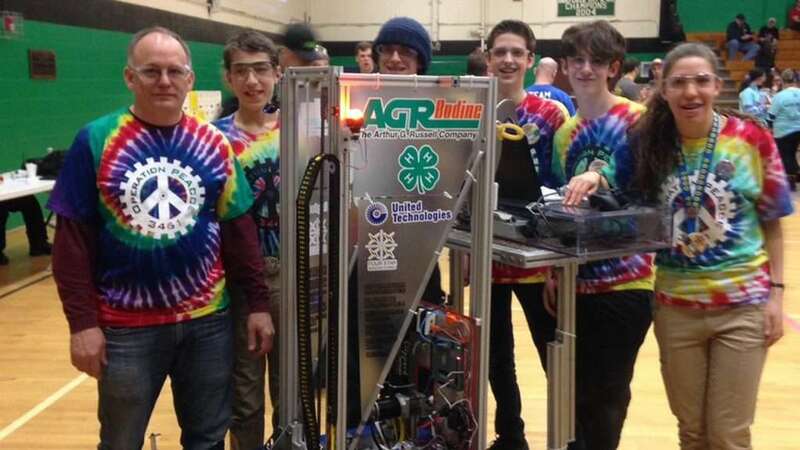 BRISTOL, Conn. – March 21, 2016 – The Arthur G. Russell Company, Inc. (AGR), a leading provider of automatic assembly solutions, is proud to announce that the company sponsored robotics team, Operation P.E.A.C.C.E. Robotics (3461), won the New England District UMASS- Dartmouth Event 2016 on March 20th. 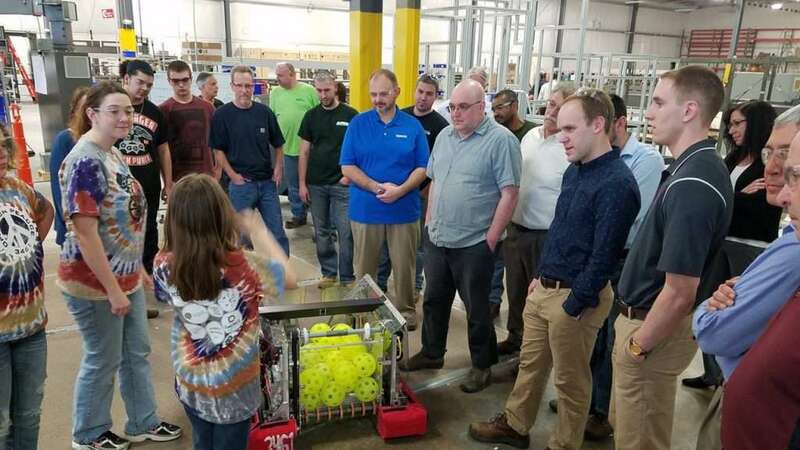 AGR provided funds, materials and mentors who assisted in the design and build of a robot for the 2016 FIRST Robotics Competition – FIRST StrongholdSM. The FIRST StrongholdSM challenge takes on a medieval theme involving obstacles such as moats, ramparts, and towers. With an alliance of two other local area teams from Berlin and Southington, Operation P.E.A.C.C.E. Robotics was able to advance to the final round, storm the castle and score enough points to win the competition. 32 teams from Connecticut, Massachusetts, Rhode Island and Vermont competed at this event. Operation P.E.A.C.C.E. 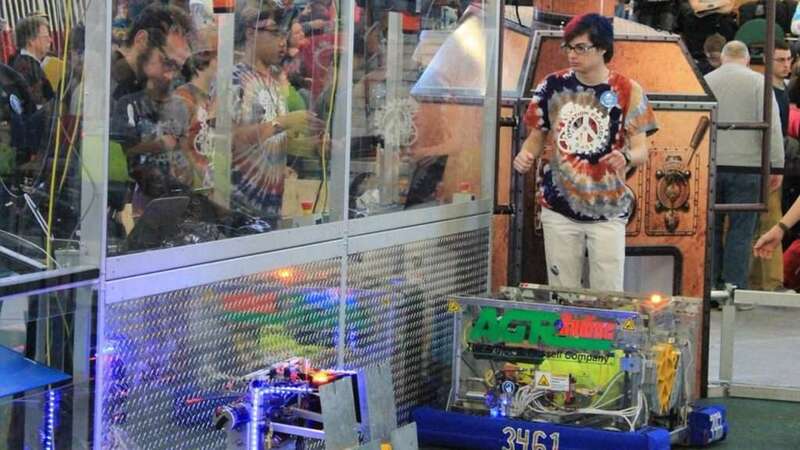 Robotics team is comprised of high school students from Bristol and the surrounding communities. Each team received a kit of various automation components along with limited instructions at the competition kick-off in January. Working with AGR mentors, students had six weeks to design, build, and program their robot to meet this year’s challenge. “These events are a great way for students, who would like to pursue an engineering career, solve complex problems in a fun way” says Eric Corriveau, Mechanical Engineer and AGR’s team liaison.